MANILA, Philippines—Michelin, in global partnership with Shell, welcomes back the Shell Eco-Marathon Asia (SEMA) for its second year in the Philippines at Luneta Park, Manila on February 26 to March 1, 2015. The Shell Eco-Marathon is an international competition wherein student teams must create a safe and energy-efficient vehicle that promotes sustainable solutions for mobility. 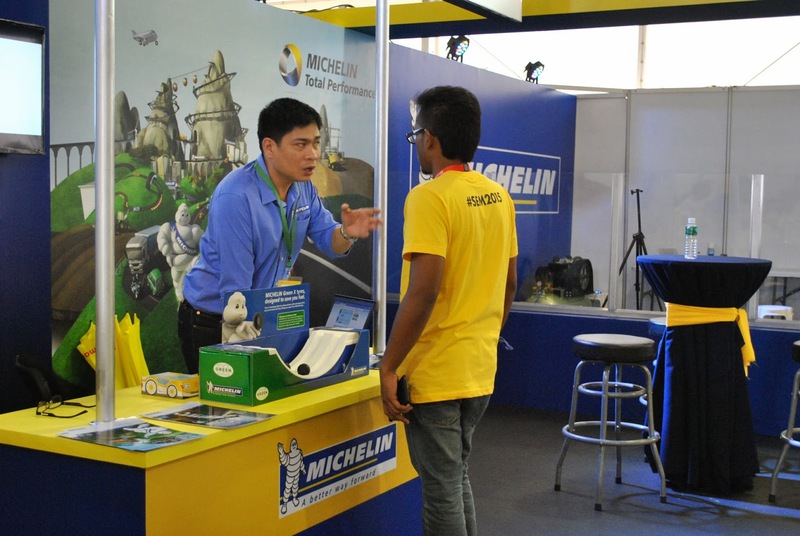 MICHELIN continues as the Official Global Partner and Tire Supplier of the event in 2015. An increased number of student teams will participate in SEMA 2015, with 127 teams from 17 countries from the Asia-Pacific and delegates from Australia, Saudi Arabia, Oman and South Africa. From the Philippines alone, 25 universities from all over the country with as much as 34 participating prototype vehicles are joining this year. The SEMA 2014 had 109 teams from 15 countries, and 15 teams from the Philippines among them. “The Michelin and Shell partnership are aligned with valuing innovation for better mobility, that also pursues energy-efficient and safe solutions for mobility.” said Michael Nunag, Chief Representative of MICHELIN Philippines. The MICHELIN tires for Shell Eco-Marathon are well-designed tires that are lightweight and provide low rolling resistance, providing optimal traction and longer travel time for the prototype vehicles. These tires areapproximately 6 times more efficient than one of the best energy efficient tires on the market (MICHELIN Energy EV). MICHELIN will also be providing technical assistance and support to all the participant teams throughout the competition, by supporting them with safety advice and how to best utilize the tires for their vehicles to get the best performance. Apart from the sponsor exhibition where the public will have a chance to see the product and performances of Michelin Tires, Michelin will host the MICHELIN Road Safety City 2015 at the Fanzone area at the SEMA 2015. 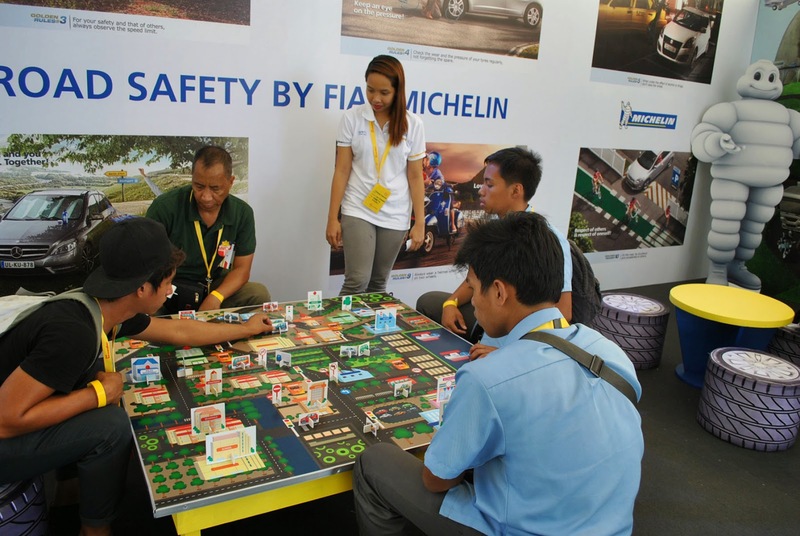 A first for SEMA in Manila, the concept behind MICHELIN Road Safety City is to get everyone, especially the kids, in on the importance of road safety. “Road Safety is everyone’s responsibility. With Michelin Road Safety City 2015, what we want to bring to all the participants is the basic but important knowledge that will keep them safe on the road. This includes respecting traffic rules, the meaning of road signs, and how to avoid danger on the road. 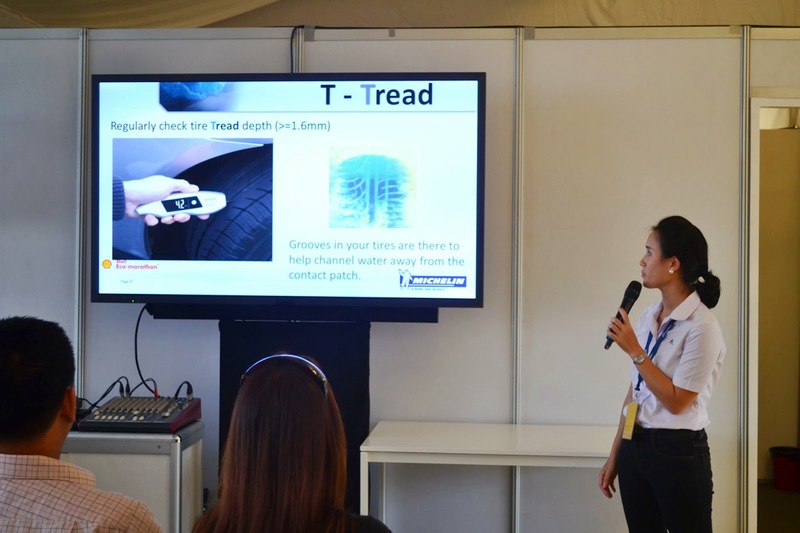 All the activities are designed to demonstrate the importance of road safety, with the hope that this will help to reduce road accidents,” said Ruedee Euachongprasit, Director of Communication and Brands, Michelin East Asia and Australia.